If you want to be fancy about it—usually when a player character is making the gadget—have the maker test Tinkering to overcome a Fair [+2] difficulty; rushing the work raises the difficulty to Good [+1]. Succeeding at a cost means the gadget will have a special flaw. Succeeding with style means the gadget will have the aspect Fine Workmanship. Equipment in Fate Core can be as simple as an aspect, like Magnetic Grapnel Gun, or a stunt, like “Magnetic Grapnel Gun: +2 to overcome with Athletics by climbing or swinging when there’s a metal anchor around.” But for a little more depth, you can combine those into a single extra as a personal gadget. Pewrsonal gadgets come with two aspects for free—a function aspect and a flaw aspect. The function tells you the gadget’s purpose, and the flaw tells you what’s wrong with it. You can think of its function as its high concept and its flaw as its trouble or a consequence that never goes away. These do not take up any of your character’s personal aspects; they are gear aspects. Give the gadget one or more stunts to reflect the reliable mechanical advantages it confers on its user. These stunts cost one refresh apiece. CLANG! : Spend a fate point to secure the magnetic grapnel to a metallic object in a dramatic way, grabbing a swiftly moving vehicle, a falling pulse rifle, or the wall on the other side of a yawning chasm in an oddly built space station. Trick Shots: +2 to create an advantage with Shoot when you use the grapnel gun to swing around, disarm an opponent, or create a barrier. You can take additional flaws to reduce a gadget’s refresh cost, at a rate of one refresh per additional flaw. The minimum cost for a gadget with any stunts is 1 refresh, regardless of how many flaws it has. It can’t be some pseudo-flaw, either, like Glitchy on the Ocean Floor. And if you do let something like that slip by, make sure the player knows they can expect to spend a surprising amount of time underwater. Deep, deep underwater. An additional flaw for the Magnetic Grapnel Gun might be Heavy and Unwieldy. Building something from scratch is based off a difficulty equal to the cost of the item in question. It also requires appropriate tools, supplies and time. 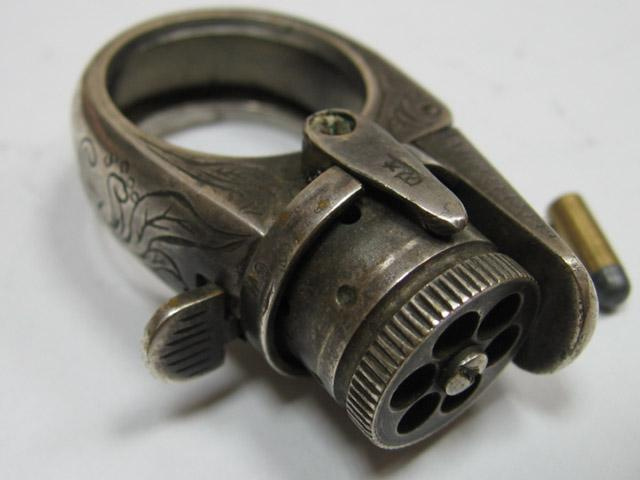 For example, building a pepperbox revolver from scratch is a Average difficulty, due to the gun’s Average cost (20c). It also requires appropriate tools, supplies and time. Tools and supplies are measured by the quality of the engineer’s workshop, which must be at least as high as the item quality (which is equal to the cost). To build our pepperbox revolver (Average cost and, thus, Average item quality), the character must have an Average or better workshop. Building something is time-consuming, taking at least a day per level of item quality over Mediocre (minimum of one day), so it’s assumed that characters will only be building things that they can’t buy or acquire otherwise. More often, it’s assumed they will skip the time to build the base item, and instead start with something that already exists and then improve it. 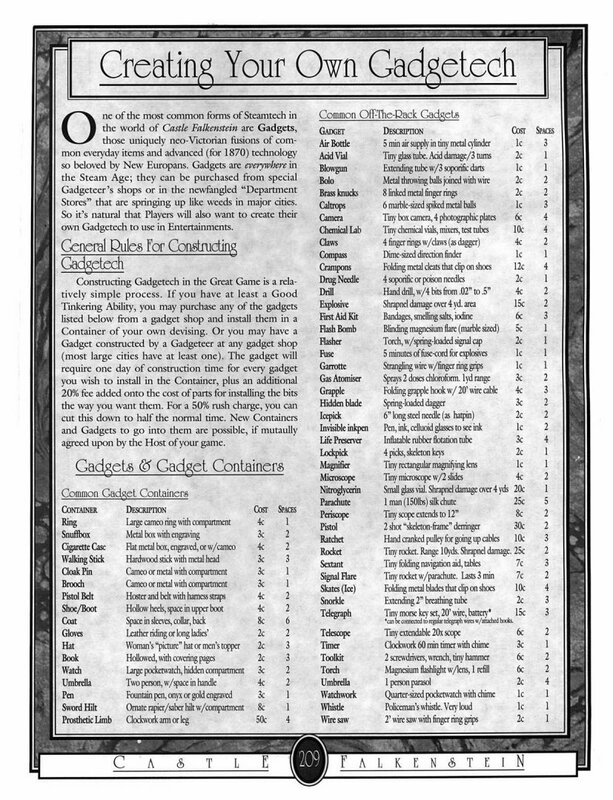 Castle Falkenstein offers a price list for common items on p. 166, as well as a a list of common gadget components and their costs on p. 209. The device can now do something else of roughly the same scope. An automobile might also be able to be a boat, for example, or a gun might be able to shoot a grappling hook. Alternately, it may be able to do something normal but do it exceptionally well (so that a technology works like it does in the movies rather than real life). The device allows skills to be used differently. For example, a Hemato-Detector Device might allow an investigator to use Education rather than Perception to examine a crime scene for traces of blood. The device can include a technological advance we already know about but which hasn’t happened yet. However, this is roughly limited to technologies that existed before the beginning of World War II. Adds guns or blades to a device that would not normally have them, allowing its use with the Marksmanship or Fencing skill. A device may be given armour, meaning that when the user spends one fate point, the device absorbs a single consequence; you don’t take the stress it would have absorbed, and you don’t fill the consequence slot. Light Armour: Absorb a single mild consequence; you don’t take the stress it would have absorbed, and you don’t fill the consequence slot. Medium Armour : Absorb a single moderate consequence; you don’t take the stress it would have absorbed, and you don’t fill the consequence slot. Heavy Armour : For one fate point, absorb a single severe consequence, or two mild or moderate consequences in any combination; you don’t take the stress it would have absorbed, and you don’t fill the consequence slot. A specific improvement, granting a +2 bonus to some fairly specific use for the thing. An automobile, for example, might get a +2 in a swamp or a +2 on the straightaway. Next, determine how many improvements you want to make. Each improvement increases the difficulty (and required workshop quality) by one except as noted in brackets. Each improvement takes approximately 8 hours to implement. Succeeding at a cost means the gadget will have a special flaw. Succeeding with style means the gadget will have the aspect Fine Workmanship. Equipment that characters make can be expected to last for the duration of a single adventure, but is assumed to be lost, deconstructed, or otherwise removed from play between adventures. Jasper, a Dwarf Inventor, undertakes the construction of an Instantaneous Facsimile Transmission Device that will allow him to send a photograph of the real Count Vassili from his location in Vienna to Doña Ana in Strasbourg via telegraph. This means giving a telegraph station an additional capability; he would also like to add miniaturization so that he can make it portable in a suitcase, because he foresees using this a few more times on his trip as he races to join his ally in Constantinople. The base difficulty starts at Mediocre [+0] and Jasper wants to add two improvements to a normal telegraph emitter, raising the difficulty to Good [+2], and it will take two days. Jasper has Great [+4] Tinkering and a workshop to match; since time is of the essence, he decides to try to reduce the time require by two increments (from “a few days” to “an afternoon”) so the difficulty is raised to Great [+4]. Jasper makes an overcome test on Tinkering and draws a +3, a success with style! Not only does he have his portable Instantaneous Facsimile Transmission Device later the same day, it shows Fine Workmanship. 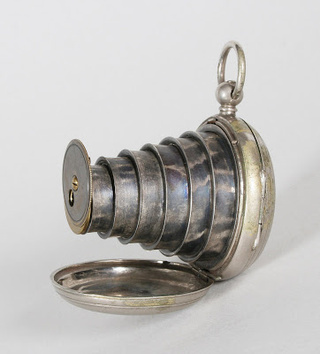 Photos: 1886 Victorian Lancaster Pocket Watch Camera from Watchismo; 19th century French pistol-ring from io9. Posted on January 3, 2014 January 4, 2014 by mechanteanemonePosted in fiction, games, rpgsTagged Castle Falkenstein, Evil Hat Productions, fantasy, FATE, Fate Core, gadgets, games, R. Talsorian, rpgs, steampunk.